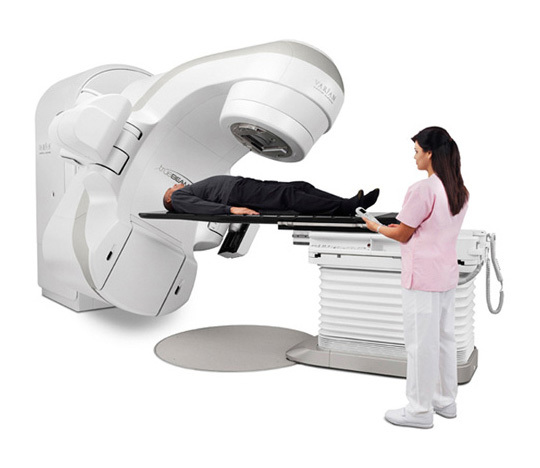 How is radiation therapy delivered ? 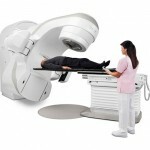 – Brachytherapy: the source of radiation is placed near the tumor. It is usually indicated for head and neck tumors. Side effects that you will feel right after the radiation therapy such as soreness of mouth, throat and skin. 2) Chronic side effects: Side effects that occur months or years later after the radiation, primarily affecting the bone or your salivary glands. 1) Mucositis or ulceration of your mucosa. It is normally managed by usage of topical analgesic and anti inflammatory drugs. Patients with combined radiation therapy and chemotherapy therapy might have more severe and longer duration of mucositis. Xerostomia means there is a decrease in the volume of your saliva. Decrease in saliva volume can cause increase in radiation caries, periodontal disease, decrease in taste sensation, poor denture tolerance and difficulty in swallowing. Patients are often advised to take frequent sips of water or take artificial saliva to reduce the complications of xerostomia. 3) Necrosis of your bone or soft tissue or osteoradionecrosis. Further information on osteoradionecrosis can be found in Part II of this article. 4) Trismus or limitation of your mouth opening. This occurs especially when your temperomandibular joint and muscles of mastication are in the radiation field. Radiation therapy induces fibrosis and causes limitation of mouth opening. Certain mouth exercises are required to perform to improve the condition of trismus after radiation therapy. 5) Dysphagia / difficulty in swallowing. Your dental officer/dentist should always have a proper dental treatment planning. Teeth with questionable prognosis should always be extracted (etc, periapical lesions, deep periodontal pockets. Your dental officer should always extract your teeth with minimal trauma. This can prevent unnecessary trauma to your oral tissues. Extraction should be done 14 to 21 days before radiotherapy to allow maximize healing. Post operative antibiotics should be given to prevent infection. Restore any present dental caries. Dental caries should be restored using glass ionomer cements as they have fluoride releasing effect. Dental amalgam is recommended to serve as a restorative material to restore areas with high occlusal load as composite has higher risk to develop recurrent caries and marginal gap. – Fabrication of fluoride tray. Lifelong usage of fluoride is always RECOMMENDED for patients who had radiotherapy. – Undergo routine dental care every 2 to 3 weeks during radiation therapy to monitor his/her dental condition. – Maintain his/her oral hygiene during this period. – Perform thorough examination to detect whether there is any new caries or new dental problem. – Apply topical fluoride gel on patient’s teeth during the appointment. – Minimize trauma to the surrounding tissues. Removable prostheses/dentures should be avoided for approximately 6 months to 1 year to reduce trauma to your tissues. – Patient should undergo lifelong fluoride treatments to reduce radiation caries and the need for additional dental treatment. – Undergo routine dental examination to maintain the condition of your remaining teeth. – It is important to maintain good oral hygiene and AVOID SMOKING AND CONSUMPTION OF ALCOHOL.